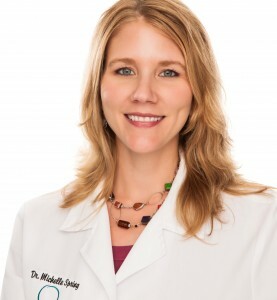 Dr. Spring is a mom of a two children and two grown stepchildren and a board-certified plastic surgeon with Marina Plastic Surgery Associates in Marina del Rey, CA. What’s your favorite parenting tip? Everything passes and the only thing that doesn’t change is change itself. The nights of not sleeping and worrying about why your little one is still waking at 3 am soon becomes a distant memory as you focus on the newest development. You can either worry about each and every change, or you can relax and enjoy every single moment in the process, knowing that it is fleeting. Also: Read to your children. I believe it is one of the most important things we can do besides providing them with unconditional love. I also bounced on an exercise ball to get my son to sleep: Sometimes it was the only way to calm him down. I placed him on top of my breast-feeding pillow on my lap and bounced gently. Worked like a charm every time. What surprised you most about parenting? The feeling of heart-breaking love. It can sometimes be almost painful—like there is a physical link from my chest to my son’s vulnerability and trust and dependence. It’s hard to put into words, but it’s the “I love you so much that I am going to cry” feeling that I get at night watching him sleep or when he looks at me with a small questioning smile. How do you get your family to eat healthy food? I buy as much organic food as I can, especially meat, dairy and eggs. I think it’s important to pay attention to where these foods come from. I used to be a vegetarian, but since my husband is a meat-eater, we compromise. I think it is so important to eat a lot of colorful fruits and vegetables, and I’m lucky so far that my son likes to eat everything. We have been feeding him Indian, Mexican, and Ethiopian dishes since he started solids, and he seems to enjoy all kinds of spices. We make a fruit and veggie smoothie every day which he likes to drink with me. At this point, a one-year old is so engrossed with doing or having whatever we have that I think he is learning what to enjoy. If it’s too bitter for him, I mix in applesauce or some sweet fruit and he will then eat just about any vegetable! Parents need to set the example for their kids, so my husband and I are always trying to eat well to instill good habits, but we definitely have our treats too. I think it’s all about balance and finding what makes a “healthy” ingredient taste good without adding unhealthy fats or sugar to it. Because cooking takes up so much time and both of us work full-time, we do eat out a fair amount or bring meals home on weeknights. I decided that the trade-off of having more time to spend with my son after work (and not cooking or cleaning up) is far more important to me. We try to make healthy choices when we eat foods from restaurants, and we will often bring home a main dish from Whole Foods or a deli and then make salads to go along with it. We cook on the weekends and have leftovers for at least some lunches or another dinner for the week. How do you work exercise into your family’s life? I get down on myself sometimes that I don’t exercise more. Before my son was born, I loved to try new, active things, like rock climbing and surfing. But that’s a lot harder with a baby. Now I have to be more realistic. I try to get in at least 30 minutes of exercise each day. We have a dog, so I often take walks with my husband, our son, and the dog up and down the hills around our house. I’ve also started to bike to work. This is helpful because it kills two birds with one stone: exercise and commuting! The night before work, I pack a big backpack with my work clothes and toiletries. I also keep some extra clothes and shoes in my office. I find if I don’t pack it up the night before, it’s too easy to jump in the car and drive instead. I find that going to an actual gym with a baby at home just doesn’t work for me. It’s easy to put him in a travel crib in the garage with a few toys and I work out for however long he lets me! We have a small home gym in our garage (no cars in there!). It’s not fancy, but we have a TV and DVD player, a treadmill, all-in-one dumbells, a pull-up station, medicine balls and bands. I have some DVDs that I only watch there, so it motivates me to go exercise. For example, I’ve watched Food, Inc over and over again in 10- to 30-minute segments. When I get bored with that video, I find something new that is motivating (and I enjoy) to help reinforce the positive things I am trying to do for myself. How do you recharge your batteries? Making time for myself is something I really struggle with. I want to be everything to everyone–the best wife, mother, doctor. Sometimes, I have a difficult time transitioning from my busy office to my home life. I don’t want to bring all of that work stress into my home! One thing that helps is I sit in my car outside my house for five minutes to calm down and get centered before going in. I don’t check my phone messages, text, call, or read. Nothing. I just sit. Another way I love to unwind is to get in a bath or hot tub for even 10 minutes and just let my mind quiet itself.